Fig. 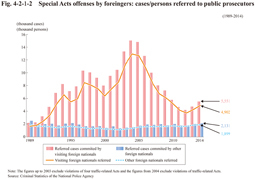 4-2-1-2 shows the number of cases and persons referred to public prosecutors for special Acts offenses (The figures up to 2003 exclude violations of four traffic-relatedActs and the figures from 2004 exclude violations of traffic-related Acts; hereinafter the same in this subsection.) 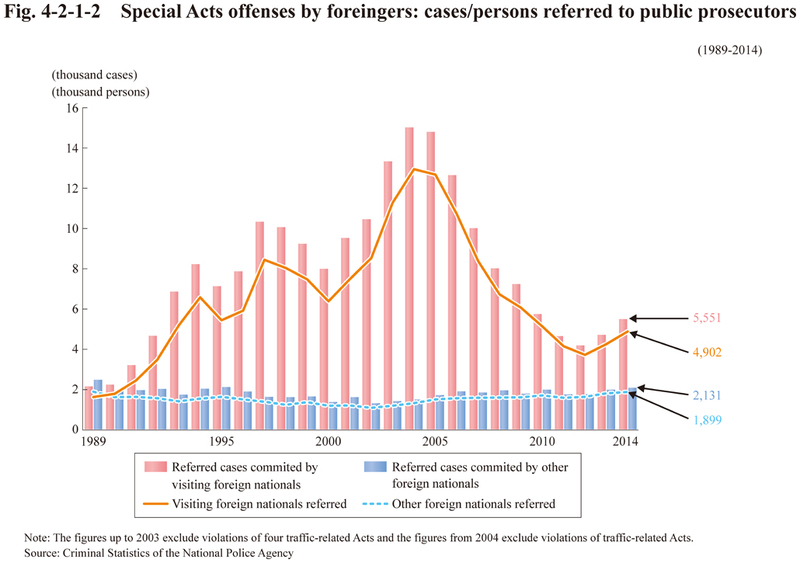 committed by visiting and other foreign nationals (See Appendix 4-5).